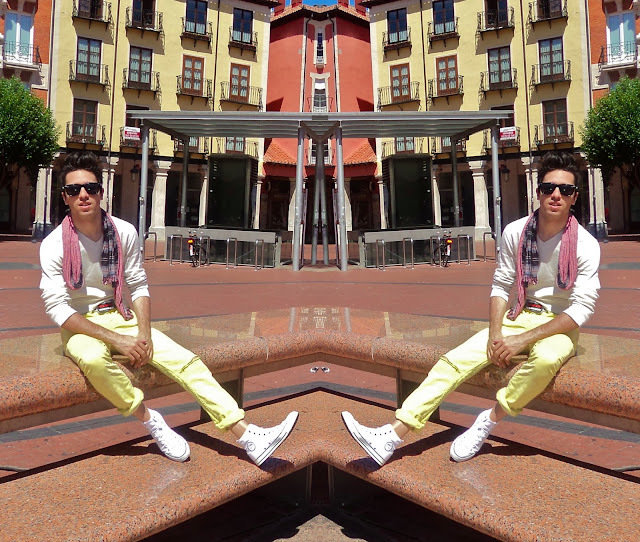 i am wearing : White Converse , yellow pants from Blanco , Gucci Belt , white sweater from Polo R.L , the scarf from Tommy Hilfigher and the sunglasses from Ray-Ban Wayfare . I love your Look so much iago! Great Great Great!!! i love your style so much !!! www.leboudoirdemaria.com ! I love the photos! You look wonderful. These pants and the sunglasses are amazing. pero que pasada de outfiit !! ******* me encanta tu estilo, tienes un gan talento para esto , muy bine combinado y estas super guapo, me encanta !, besitos carmen . I LIKE your look!!!! 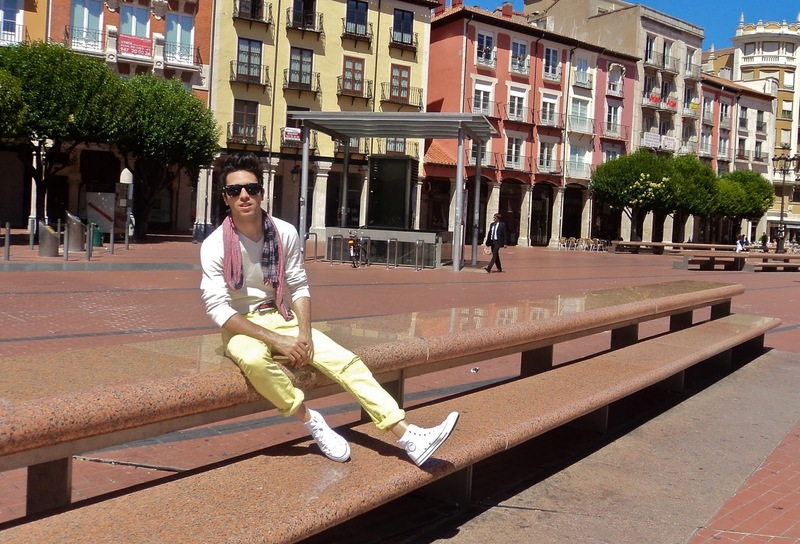 the whole outfit is amazing, love the pants and u so handsome iago !! waww, thanks a lot people ! u make me so happy reading these things ! I adore your style , the pants and your sunglasses and you're beautiful! Great shots. 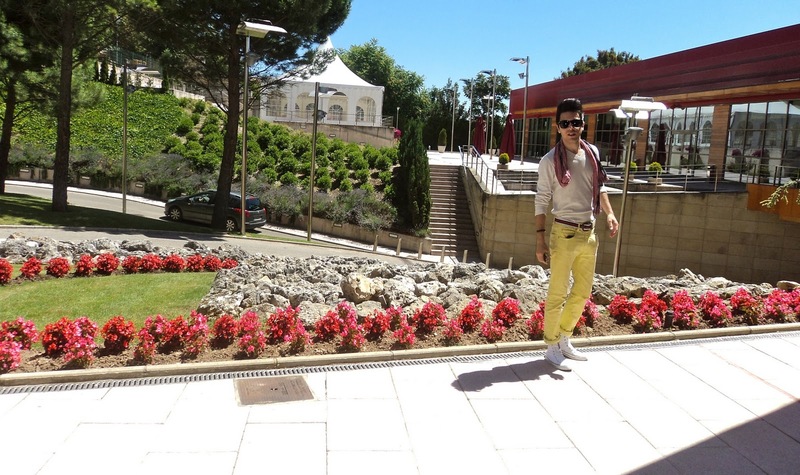 LOVE THE SHOES AND THE SCARF!!! Love the Shoes!! :) the outfit is just stunning !! Really cool outfit! Love all the clutches! Amazing outfit! I actually really like the men fashion too. I think it is beautiful to see! Really nice outfit! LOve yellow! You look GREAT!! ESpecially love all your accessories!! I looove you whole outfit!! 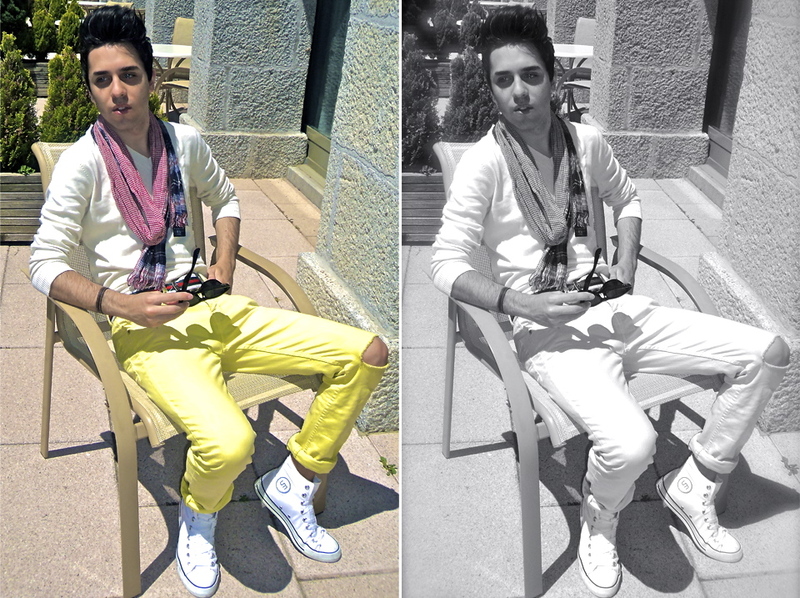 Omg, I am totally in love with the yellow color on ur outfit! Seeing your outfits always makes me want to shop!! You look cool! I liked it. So in love with the yellow pants! They are so pretty and original! LOVE every piece of you! So nice outfit and amazing pictures! you look awesome :) i follow u now on twitter ! Un besito pibonazo y a seguir así . Hi dear, all good? I loved your blog and your looks!! I"m following you, if you like it, follow me back? And i need to talk with about one idea for us, if possible add me in facebook? Thanks a lot guys 4 all the comments , really i am so happy , thanks !